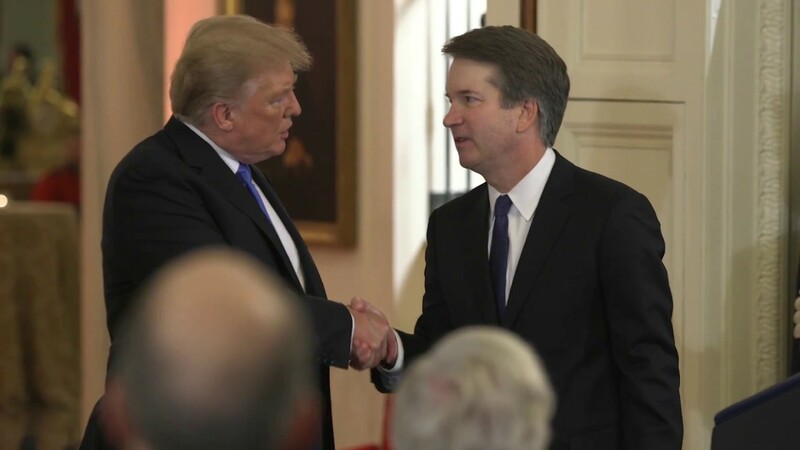 President Donald J. Trump announces Brett Kavanaugh as his Supreme Court nominee from the East Room of the White House. At 53, Judge Kavanaugh is a young nominee to the United States Supreme Court. A George W. Bush appointee to the U.S. Court of Appeals for the District of Columbia Circuit in 2006, Kavanaugh previously served as Bush's White House staff secretary.